Lost, a modern opera with music by Jessica Grace Wing and words by Kirk Wood Bromley, premiered on Saturday, August 9th 2003 as part of New York City's Fringe Festival. Jessica completed the final composition for Lost several days before her death and less than a month before opening night. 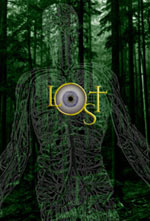 For more information about Lost, please visit Inverse Theater.